Are your pharmacy premises fit for purpose for the delivery of modern pharmacy services? The way in which pharmacy services are delivered has changed and to stay ahead of the competition it is important that your premises enable the professional delivery of healthcare services to the local community. The APM Healthcare team have managed and delivered some of the leading designs and concepts in pharmacy and can help you to ensure the future success of your pharmacy business in the new NHS. We’ve worked with clients across the UK including locations such as London, Birmingham and Liverpool. 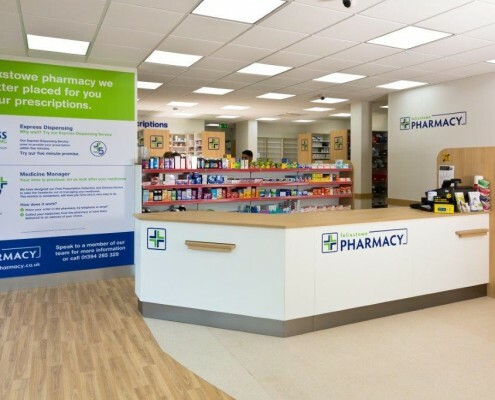 Whether you are looking to fit out a brand new pharmacy in a new location or refurbish your existing premises to improve patient care and business performance APM Healthcare are the partner of choice. We work with you to design and deliver modern, efficient, attractive, productive and individually-branded pharmacies fit for the pharmacy services of today and the future needs of professional healthcare service delivery. We have first-hand experience of pharmacy operations and are more than just a fit-out contractor. We understand how pharmacy works and how to get the best out of your pharmacy team through dispensary design and operational process improvement. 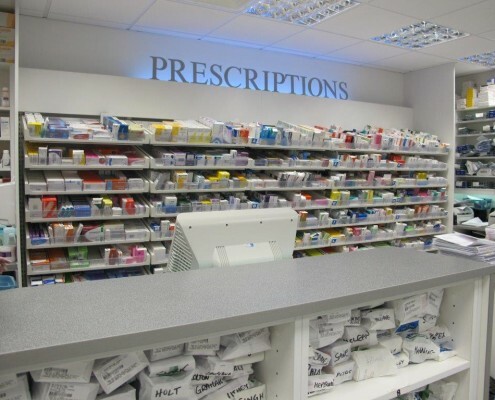 The fit-out of your pharmacy is more than just a design, it needs to work from an operational perspective to ensure that you can handle the prescription volumes and service delivery aspects of your NHS contract. All our services incorporate the necessary legislative Health & Safety, building regulations, planning applications, CDM and are carried out within ISO 9001:2000 Quality Management procedures. Funding advice and support to ensure that you can cost effectively finance the work required whether through bank debt, asset finance or private investment. We will work with you to develop the business plan required to secure the funding you need.